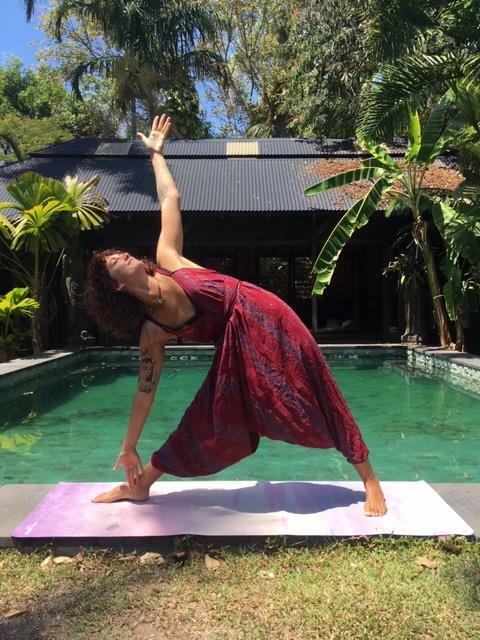 Beth teaches Yang to Yin, Rise and Shine & Hatha Flow Yoga Classes in Palm Cove, Cairns. Yoga has impacted my life in many beautiful ways. It has given me increased physical strength and flexibility and body awareness. But most importantly, a regular practice has given me a sense of peace and centeredness that I carry with me (most of the time! – I am human after all!). Before establishing a regular practice in 2009, I was quite an anxious person. My nature is quite Vata- I am quick natured and have a very active and analytical mind. My yoga practice helped, and still helps, to ground me and bring some calm to my often over active mind. It makes me smile when people say they can’t meditate because their mind is too active.. this is me too! This is why you meditate and practice yoga. The people with the more active minds are the people that will benefit most profoundly from establishing a regular practice. I have a few favourite styles of yoga! I love Vinyasa on the days i’m feeling stagnant and stuck.. I love Hatha and Yin when I need some grounding. I also love to practice pranayama (breathing exercises) and I try to incorporate them into my classes often. I also love to just sit and observe my breath and allow everything to settle. My aim is to show how accessible yoga is. ANYBODY can do yoga, as long as you have a body, and you can breathe! That is really all that you need. It’s not about how flexible you are, or about getting your leg over your head. It’s about feeling and exploring your body, developing awareness and coming back to the present moment. I hope people leave my classes with a sense of calm that they take with them for the rest of the day. Nicki joined the Hartig Yoga Team in January 2018, initially just to cover Beth’s maternity leave.. but we ended up keeping her! 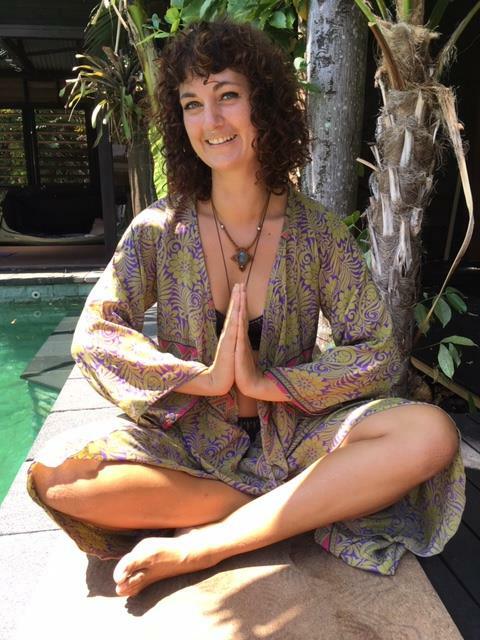 Nicki completed her 200 Hour Yoga Teacher Training at Mahi Yoga in Dharamsala, India in 2016. Nicki teaches Hatha and Hatha Flow Yoga Classes with Hartig Yoga. Yoga has taught me how to look after myself both physically and emotionally, not just in my practice but off the mat too. It’s shown me the value of self-care, tuning into how I’m feeling, being aware of what’s going on within my body and mind and allowing space for me to focus energy where it is needed the most. There is definitely a style for every mood. I lean towards a more gentle practice, moving through fundamental Hatha poses with flow to allow the body to benefit from the transition as well as the pose itself. The benefits of Yoga to Wellbeing, both on and off the mat. 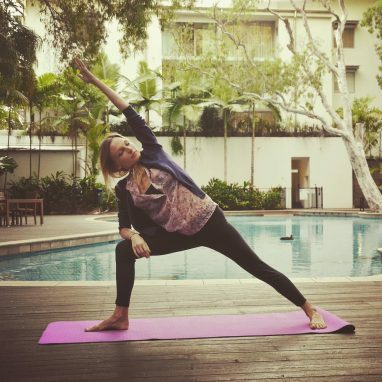 Join Nicki Monday, Wednesday and Friday mornings in our Palm Cove Yoga Classes.